Bartending...and Beyond! 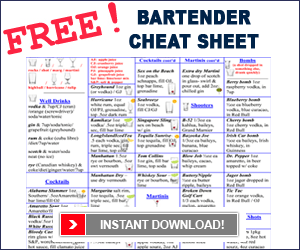 bartending newsletter gives a wealth of information about all things bar and bartending - bartending tutorials, bar resumes, bartending tips, tricks, jokes and drinking games. Our bar store has a wide variety of custom beer pong tables - all regulation sized. If you're into beer pong, you'll love these tables. Brewing Beer at Home: An introduction to the increasingly popular world of brewing your own beer at home. Home Brew Kegging: Kegging your home brew versus bottling. What's the best choice? Buy leather bar stools online. Choose from a wide variety of fashionable bar stools. Shipping included.